Law makers around the world need to target single use plastic bottles in addition to other plastics such as plastic cups, drinking straws and the likes of cotton buds. Where alternatives are available and affordable, single-use plastic products should be banned immediately. Tackling the plastics problem should be non-non-negotiable from both a human and planetary health perspective. I had pleasure tom interview Bengt Rittri. 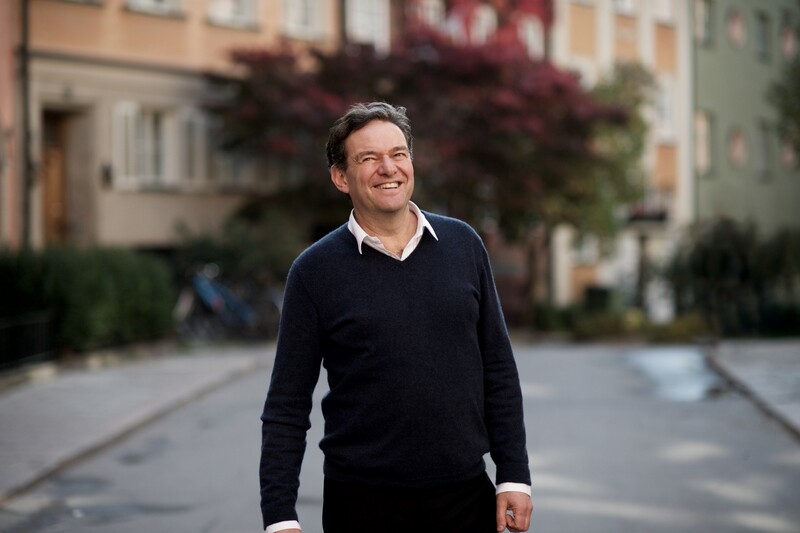 For the past 22 years Bengt Rittri has dedicated himself as an environmental entrepreneur to return the planet to health by providing people sustainable technologies and solutions that deliver them access to clean air to breathe and drinking water. Aged 58 today, Bengt’s interest in environmental issues date back to his late teenage years when he developed a deep interest in living a healthy lifestyle, which saw him become a vegetarian and adopt a lifelong passion for yoga. Bengt strongly believes that embracing a healthy lifestyle and mindfulness is the foundation of improving the quality of life in society. As a father of two children growing up in Sweden, reputed to be one of the cleanest countries on the planet, yet still suffering from air and water pollution despite its own environmental initiatives, Bengt came to the realisation that no place on Earth was a refuge from global pollution. Believing having access to clean water and air is a basic human right, he decided to do something about the problem and made it a life mission to deliver consumers the world’s most efficient water purifiers and indoor air purifiers that remove health threatening contaminants. In 1996 he left his top management job with Swedish household appliances giant, Electrolux, to found global indoor air brand Blueair, which he forged into a global company with sales in over 62 countries, including China, and the USA before divesting to Unilever at the end of 2016. Today Bengt is helping to shape a more water-wise future with Bluewater, a venture founded in 2013 and already a rapidly emerging world leader in innovating, manufacturing and marketing premium water purification and delivery solutions for homes, businesses and public spaces. Thank you so much for joining us! What is your mission? What problems are you aiming to solve? Bluewater’s vision is to deliver pure water to everyone, everywhere. Bluewater is working to deliver on that vision by providing access to localised sources of pure drinking water all around the world for homes, businesses and public spaces. Bluewater believes that by harnessing human ingenuity it can deliver the technologies and solutions that will can deliver people safe water from taps for drinking, cooking and washing as well as eliminate the need for the single-use plastic bottles and related plastic packaging that are today polluting our oceans and land environments as micro-plastics. It’s a huge problem with over 1.4 billion plastic bottles sold every year around the world, most of which end up in landfill or the oceans.In addition, most single-use plastic bottles are transported over large distances by road and sea, so providing an alternative will help remove transportation-related air pollution. Already today Bluewater has validated its vision in all principal markets, the USA, China, South Africa and Europe, where businesses and event organisers are harnessing Bluewater’s water purification solutions in a variety of ways to deliver pure water to people free of all imaginable contaminants. Can you tell us about the initiatives that Bluewater is taking to tackle climate change? Can you give examples? At Bluewater we very much believe that actions speak louder than words. We also believe in the power of human ingenuity and technology to improve the health of people and the planet. Apart from developing our leading-edge water purifiers that deliver consumers and businesses unmatched delivery rates of pure water free of contaminants like lead, chemicals, micro plastic particles and pharmaceutical and medical residues, we also strive to support local communities and economies in their efforts to tackle climate change. For example, Bluewater helped an idyllic island called Sandhamn in the Baltic Sea that sees its population grow from 90 all-year-round residents to 600,0000 during the summer months to create its own ‘off the grid’ supply of fresh water generated from sea water to save it from running out of water totally due to the immense pressure on its aquifers. Over six weeks in 2018 that also translated into avoiding the need to ‘import’ over one million plastic bottles of water to meet drinking water needs. Bluewater is now in talks with the local commune authorities to extend the project to other water scarce islands in the Baltic, which has also been rated one of the most polluted seas in the world due to dumping. Another example is how Bluewater is helping Cape Town in South Africa meet the drinking water problems posed by climate change induced water scarcity brought on by drought. One year ago Bluewater was asked by the Volvo Ocean Race to help it turn undrinkable water into pristine drinking water for the one million visitors to the race village set up fro the Race’s stop-over in Cape Town. Bluewater provided four water stations harnessing its powerhouse, yet compact water Bluewater Pro water purifiers to turn non potable borehole water into safe drinking water. During the two-and-a-half weeks visit Bluewater not only met every demand for drinking water but also saved the need to use over 50,000 half-liter plastic bottles of water. Today Bluewater hydration stations are being used by all major sporting and music events in Carte Town to save municipal water, including the Cape Town marathon and Cape Town Carnival. What was the most difficult thing you faced when you first started Bluewater? Can you share how you overcame that. This might give insight to founders who face a similar situation. Disrupting the status quo is never easy or straightforward. In many, if not most, countries around the world consumers have increasingly come come to mistrust the quality of their drinking water at home and turned to bottled waters as a substitute. Today over one million single use plastic bottles are produced every minute to meet that growing demand, with most throwaway bottle ending up in landfill or the oceans, ultimately becoming the micro-plastics particles now being found in our food and water chains, and even our bodies. Secondly, in the commercial environment, major beverage companies have taken ownership of sporting, musical and other events through massive sponsorship programs, which makes it difficult for stadiums and event organisers to shift to more sustainable choices of supplying water to their customers. We are overcoming this issues by demonstrating how human ingenuity and technology can deliver pure water on demand for thousands of people from a local source, and giving arenas and event organisers alternative revenue streams such as advertising oil our hydration stations or selling reusable bottles. I built my previous company Blueair the hard way, market by market until it became a global brand that was ultimately acquitted by Unilever in 2016. I sold Blueair because I felt the company needed the power of a truly global company like Unilever to take it to the next level. The decision also enabled me to move Bluewater into a global player able to disrupt a traditional industry, so the funding path was relatively straightforward. My advice to all budding entrepreneurs is to develop a solid marketing plan for the idea before looking around for early stage angel investors or crowd funding sites. I encourage entrepreneurs to also research accelerator or incubator investors who often look to play a bigger role in turning an idea into a viable business model. In 2018 we partnered with Newport, RI, based 11th Hour Racing and Imagine H2O in San Francisco to create the 2018 Urban Drinking Water Scarcity Challenge aimed at driving direct and scalable impact for water-scarce cities, inspire community awareness and public action, promote innovation and entrepreneurship, and facilitate the deployment of real solutions to an existing problem. The three winners announced in end August, included startups from India and Bangladesh as well as Denver, CO, Microlyze Inc, which has developed a real-time water testing device to empower American utilities with accurate, reliable and cost-effective measurement of water quality collected directly from households. Business and governments need to work together top achieve real change. The private sector needs to get engaged and government needs to tap into the creativity that exists out side the movement structure. that were we have the innovation and ability to spread the message … the public private partnership is not just about money. It is also very much about the innovative partnership where we in close collaboration can come up with ideas and foster action by other innovators. Consumers as individuals can take immediate action simply by declining to use single-use plastic packaging, whether it is a bottle or a single orange wrapped in plastic. They can also start using re-useable bottles to meet their hydration needs. Bluewater has demonstrated how our water purifier technology and solutions can halt the need to use and transport single use plastic bottles by generating clean water locally on site for purchase or free distribution via public dispensers. I do not think there is any one person who has helped me on my personal journey. I have been inspired by many people at different times of my life, from Rachel Carson to Steve Jobs to Richard Bach to my personal yoga teachers. I guess I am most grateful to everyone working at Bluewater who every day put huge effort into promoting our mission, vision, ideas and solutions. People have got used to using plastic bottles of water and the major league players have established large-scale organisations to produce, distribute and promote their bottles. Sporting events especially rely heavily on marketing money from the likes of Coca Cola, Pepsi and Nestle, so it is no easy task trying to disrupt their near stranglehold on the market and stay humble at the same time. That’s a tough question. I guess one real lesson I’ve learnt is the need to constantly live and work in accordance with our core values, and to be passionate about caring for all people, not just our customers, or employees, by leveraging human ingenuity and talent. Obviously, every businessperson knows you have to put your customer first, but until you stand there in reality you never really know just how hard you need to work at being obsessive about serving the needs and exceptions of each and every customer. Over time I have discovered that you need to have a lot of patience to build a successful company, it’s the journey not the destination that counts, and no-one told me that at the beginning. Another lesson has been the importance of creating a good company culture at the start and sustaining it as you grow. We’ve grown into an international company pretty fast, with sales across Europe, in the USA, China and South Africa, with a head office in Stockholm and regional offices in Shanghai, Overland Park, Cape Town and Hong Kong, but regardless of nationality, religion or culture, we all work to the same set of principles that guide our actions and how we solve problems. Why? Because, although we are still that that many people (around 60) it helps us to connect better, solve problems easier and more quickly, and avoid cracks developing across our widespread organisation. 10. You are a person of great influence and doing some great things for the world! If you could inspire a movement that would bring a great amount of good to the world, what would that be? We already have launched a Bluewater movement that is still very much in its infancy, but nonetheless is about encouraging change. a planet-wide movement that will harness human ingenuity to help bring cleaner, healthier water to everyone and create oceans without plastic. Our goal is to pursue a strategic push to fast-track wider public access to purified drinking water and disrupt the global beverage’s industry reliance on single-use plastic bottles. We want to harness human ingenuity to develop disruptive transformational thinking that will provide more people around the globe with on-demand clean drinking water in ways that will help bring an end to the need for throwaway plastic bottles. I believe the health of the planet demands imaginative thinking to halt the vast tide of plastic waste that sees over one million plastic bottles being sold every minute and less than nine percent recycled. I would love people and businesses from all over the planet to join me in a movement to change the existing water distribution and consumption model that sees billions of plastic bottles being shipped from one side of the world to another. Most of those bottles will end up in the oceans as litter, but Bluewater has both the technology and developed business models that can spell end the need for single-use plastic bottles. Bluewater offers a very viable solution because water generated at source stops the need for long-distance transportation. Bluewater’s point-of-use water generation technology already leverages patented second-generation reverse osmosis solutions to deliver unmatched amounts of pure water and slash the amount of waste water by up to 80 percent (depending on product model) compared to traditional RO systems. 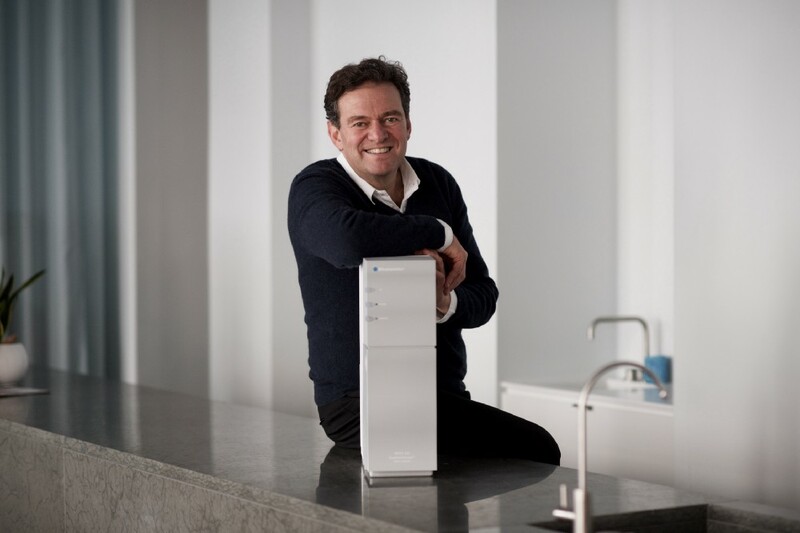 Bluewater’s state-of-the-art water purifiers are innovated with love in Sweden to remove virtually all pollutants, from toxic metals and chemicals to lime-scale. Bluewater can be found on LinkedIn, Twitter and FaceBook, as well as YouTube and Vimeo, which we use mainly to drive our corporate sustainability messaging and promote our products and ingenuity at delivering innovative technology and solutions.